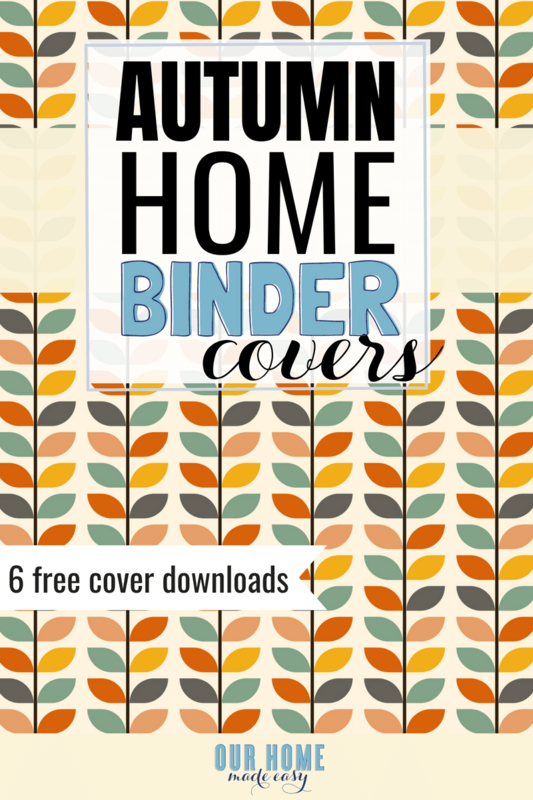 Want to change up your home binder covers in time for autumn? Simply print off one of these 6 cover options! Use one or use all 6, they are free to use! We all know that starting a new organizing routine can be challenging. Stick with it and after a few weeks, it becomes a habit or a routine that you feel like you’ve been doing for months. And life becomes easier. But your story doesn’t end there. Just because you turn into an organizing Super Woman, doesn’t mean that you don’t deserve to add something fun to the days. Sometimes you have to give yourself something to smile about. 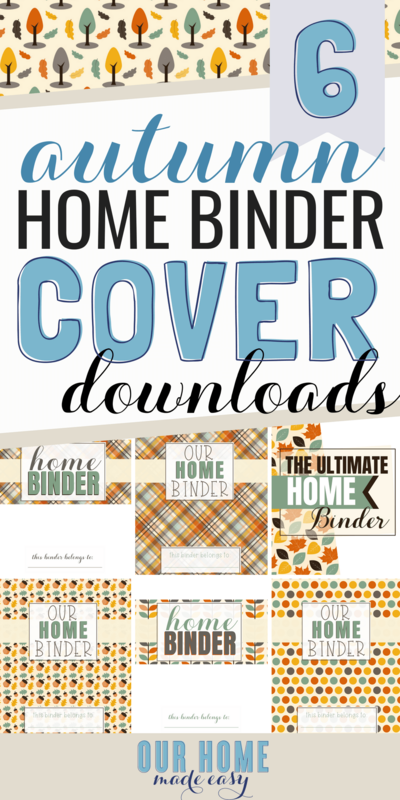 And that includes swapping out your own home binder covers! 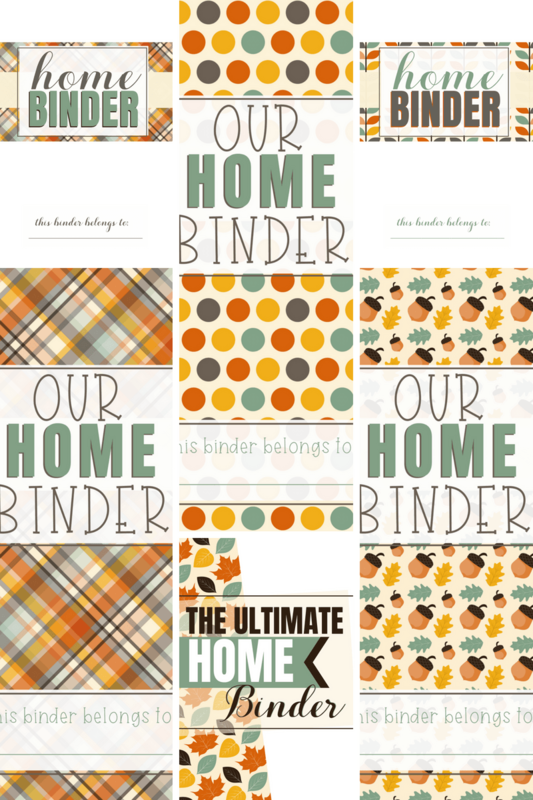 If you have your own home binder system or use The Ultimate Home Binder, you’re gonna love these Autumn-inspired prints! Keep scrolling to download them for free! 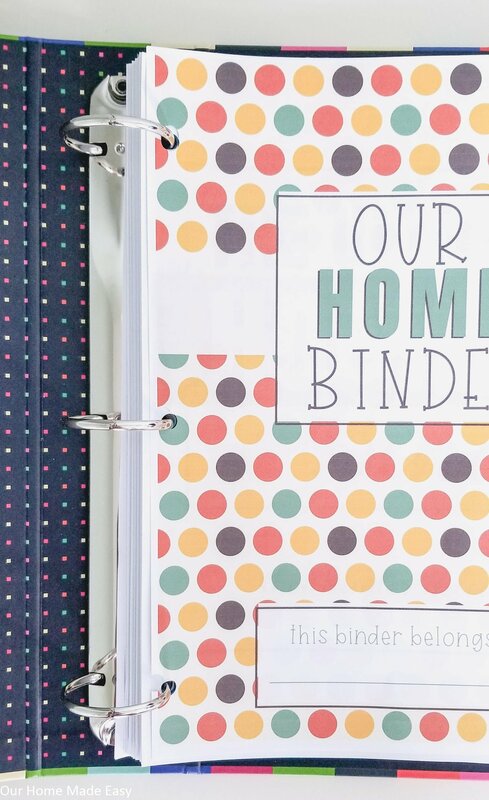 If you don’t already have your own home binder, please stop reading this, go back to this post and start building your own! Creating an organized home starts with clearing your paper clutter. Then turning that clutter into an organized home binder that allows you to find anything important for the house quickly. You won’t be searching for your favorite quick dinner recipe or even trying to remember where you put those appliance receipts. 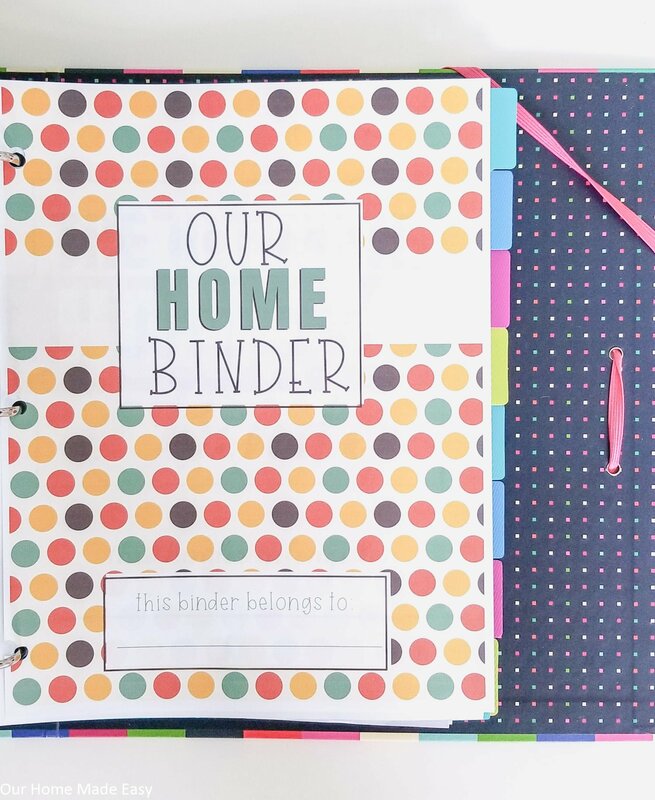 Everything goes in your own home binder. 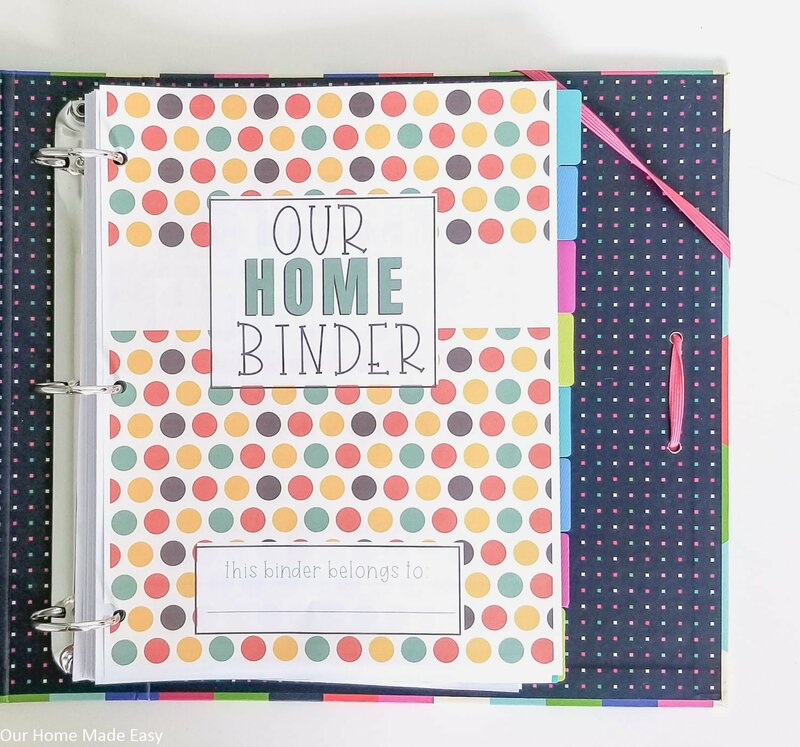 In order to start your own home binder, you need just a few items (Find my favorite binder goodies here). Once you have your binder organized just the way you like, you can start using it. Continue building each section of your binder as you need it. And as the weeks fly by, it’s fun to add some new personality to your home binder– and that is why I wanted to share these new Autumn-inspired home binder covers with you! I got the idea from the Erin Condren Planner covers where people can interchange them throughout the year as seasons change. Here is a peek at all 6 cover choices! All that you need to do is print them off on any color printer, 3-hole punch them, and snap them into your binder! Now you’re ready to welcome in the cooler, Fall weather! I hope these autumn home binder covers make you smile the next time you open your home binder! Feel free to print off one of them or all six! All I ask is that you keep them for your personal use only. 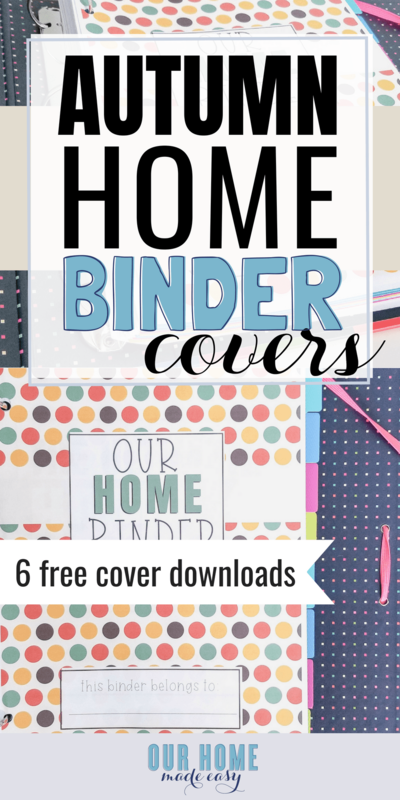 Get All 6 Free Home Binder Covers Here!